A year ago I blogged about gaining and losing weight, and now it’s on my mind again. For the first time in about 8 years, I weigh in at almost 90kgs. 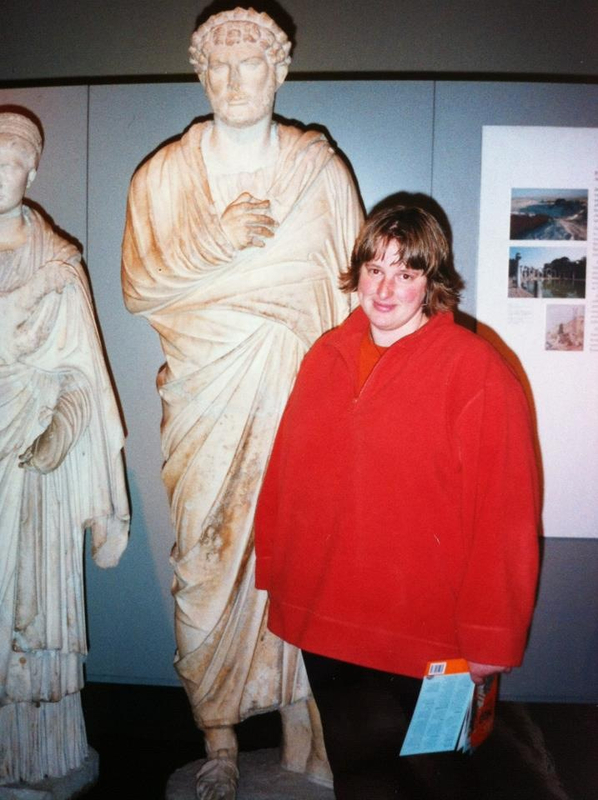 My weight-loss journey began 10 years ago in 2003. In February 2003 I weighed around 125kg, I never exercised, I had high blood pressure, I was seriously unfit, and more to the point, I was really unhappy about it. I’d wanted to lose weight for ages (of course, who wouldn’t!) but I was scared. As a teenager, I’d struggled with cycles of not eating, binge eating and vomiting, so I was worried that any real attempt to diet would trigger that cycle again. I remember the point that changed things – flipped me from fear of weight-loss to a desire to be fitter. I was in Paris, it was my 30th birthday. 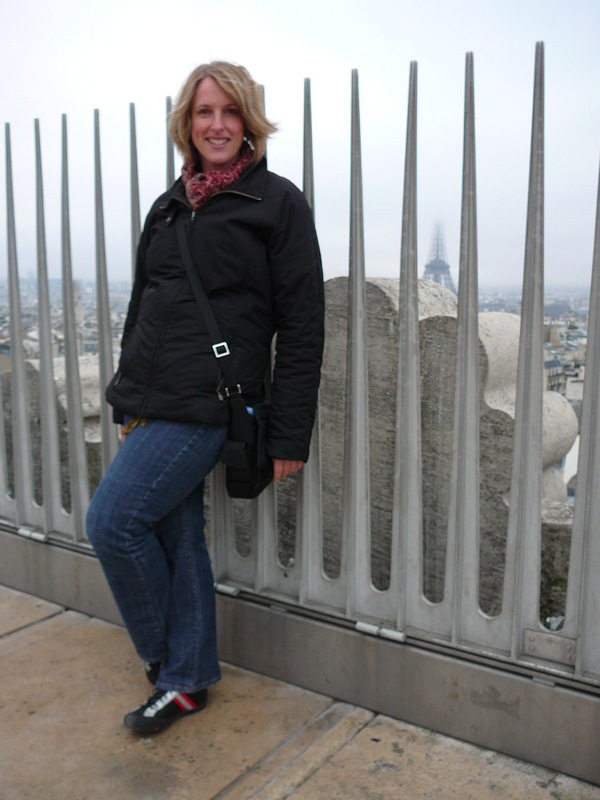 I desperately wanted to climb to the top of the Arc de Triomphe to see the view. But I knew there was no way I could make it up the 284 steps to the top. I sat under the Arc disappointed with myself while Simon climbed without me. When we returned from Europe, I joined the University of Canterbury gym. I’ve been a member of a gym ever since. I started with basic stuff – treadmill and cross-trainer. I would work out on the mezzanine overlooking the fitness classes. They looked like a lot of fun and I aimed to join one, one day. When I was fitter. Eventually I progressed to running on the treadmill, and then running around my local park. I never really lost any weight in the first year of my exercise regime. I exercised religiously every other day. I did eventually join the classes and I loved them. Step was my favourite. Then in 2004 I was told I had liver disease and gall bladder disease. The options were surgery or a change of diet. I chose the latter. I cut down my fat intake to almost zero (I took flaxseed oil every day so I still got the essentials). I was a sugar addict, so I cut this down too – no more sweets, and fewer sugary snacks. The only treats I retained were my apricot fruit cereal bars, and well-sugared coffee. I upped my lean protein intake, and reduced the carbs. The change after this was more dramatic. I lost about 40kgs in a year. For a number of years after, I would see people I knew from before I lost weight who didn’t recognise me. Like, literally. I would walk up to them and say hi, and then have to reintroduce myself. It was extremely disconcerting. And to be honest, I did feel like a different person. I had more energy, more motivation, I was happier and more outgoing. I felt younger (and looked younger too, I’m told). My mission since then has been to maintain a healthy size and stay fit. I think I’ve achieved this pretty well. My weight fluctuates +/- 5kgs with the seasons, and with the different exercise routines I adopt – injury makes me switch things around at times. To my point … all this exercise, and a healthy diet and STILL I weigh in at almost 90 kilograms! I’m told that muscle weighs more than fat (technically this can’t be true: a kilo weighs a kilo whatever type it is), but muscle is much denser than fat, so the same weight of muscle takes up less volume. This is what I’ve been telling myself as I’ve watched the scales creep up from 85 to 89.7 kgs. I’m the same volume, but the distribution has changed. I think I’ll stop weighing myself, then I can stop thinking about it.